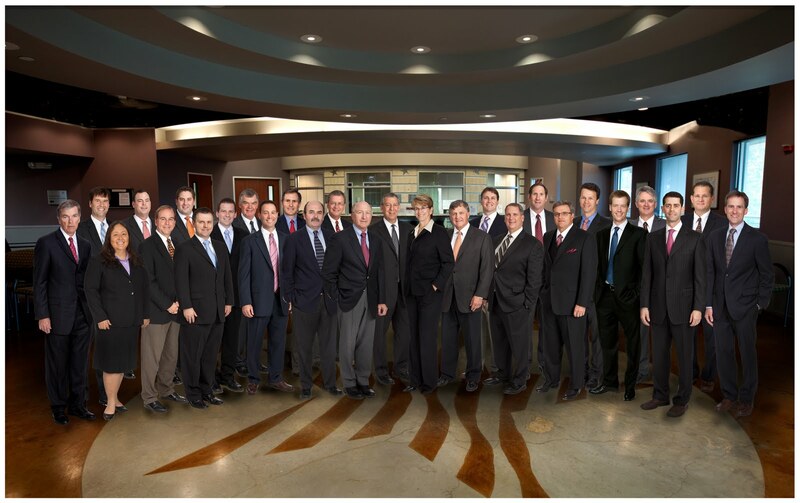 Welcome South Austin Orthopaedic Clinic to our Team! 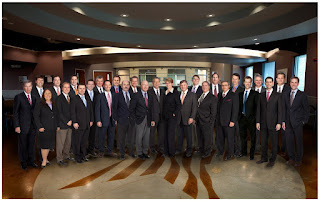 Texas Orthopedics is proud to welcome South Austin Orthopaedic Clinic to our team effective January 1, 2012. Doctors J. Clark Race, David Savage, Robert Blais and Greg Westmoreland will see patients at our South Austin office located at 3755 South Capital of Texas Hwy., Ste. 160. Their current location on Westgate Blvd. will close. Many active patients are disappointed that while trying to stay fit by working out, exercising with a trainer, or playing weekend sports, they actually can develop pain in the shoulder. This type of pain can be a debilitating problem for many recreational athletes. There are several common causes that force even fit people to cut back on their activities. The most common cause of pain in these patients is a combination of rotator cuff tendinitis and impingement syndrome. There is a small fluid filled sack called a bursa above the ball and socket shoulder joint but underneath the acromion (bone you can feel at the top of the shoulder). Everyone has these bursa sacks almost anywhere in the body where there is a bony prominence, but they do not get inflamed unless a trauma is sustained. The rotator cuff is a group of tendons that attach the small muscles in the shoulder to the humerus (upper arm bone). When active people constantly do things above shoulder level (weight lifting, aerobics, throwing a ball) often this bursa and these tendons can be pinched between the acromion and the humerus. 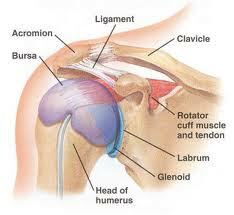 This phenomenon can be worsened by a narrowed space for the bursa due to the shape of the acromion. Repetitive overhead activities cause the bursa to fill with fluid and become inflamed and painful. The pain is typically in the front and side of the shoulder and can radiate to the upper arm. Often, patients have difficulty even with daily activities including washing their hair, reaching for something in the cupboard, or reaching behind their backs. There are many effective treatments which include physical therapy for rotator cuff strengthening, icing, and anti-inflammatory medicines. Occasionally, a steroid injection can calm down the inflammation in the bursa which can improve the outcomes of physical therapy. Arthroscopic surgery is sometimes necessary if the symptoms fail to resolve. It can be done through several small incisions with the use of a camera. The inflamed bursa is removed and the underside of the acromion is removed to create more space for the rotator cuff. The rehabilitation from surgery typically allows for return to full activities by 6-8 weeks. The key for recreational athletes is not to ignore shoulder pain. Impingement can become a nagging problem and can significantly affect not only your recreational sports but also your daily life.